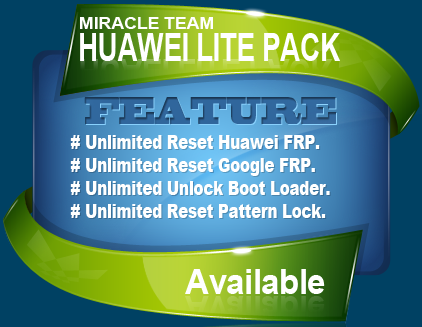 MIRACLE HUAWEI TOOL Ver 1.8 is a application for windows computer , which allows you to Flash Huawei Board Firmware, Flash the Qualcomm Firmware, Unlock network lock the, Download The Board firmware, Unlock Huawei Bootloader, Unlock Phone Lock , Unlock Pin/Pattern Lock, Read Firmware, Write Firmware, Repair Imei, Read BootLoader Code, Read Huawei ID, It's supported 99.9 Huwaei Smartphones and Tablets, MIRACLE HUAWEI TOOL Ver 1.8 Its latest version is released and available for directly download from our website. If you are interested into download the latest MIRACLE HUAWEI TOOL Ver 1.8 than simply follow the link given at the bottom. It is free to download and very easy to use. Copyright ©: MIRACLE HUAWEI TOOL All rights reserved.